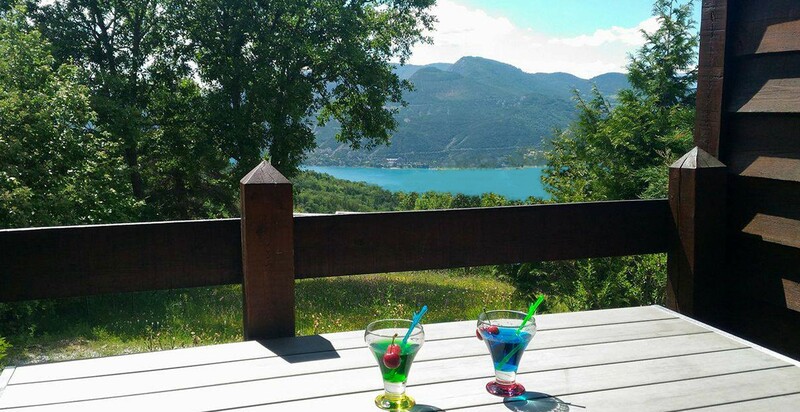 With an area of 35 m² and a capacity of 5 places, your chalet consists of a main room with lounge and kitchenette, a covered terrace, a bedroom with a double bed and a bedroom with 3 beds of which 2 superimposed. 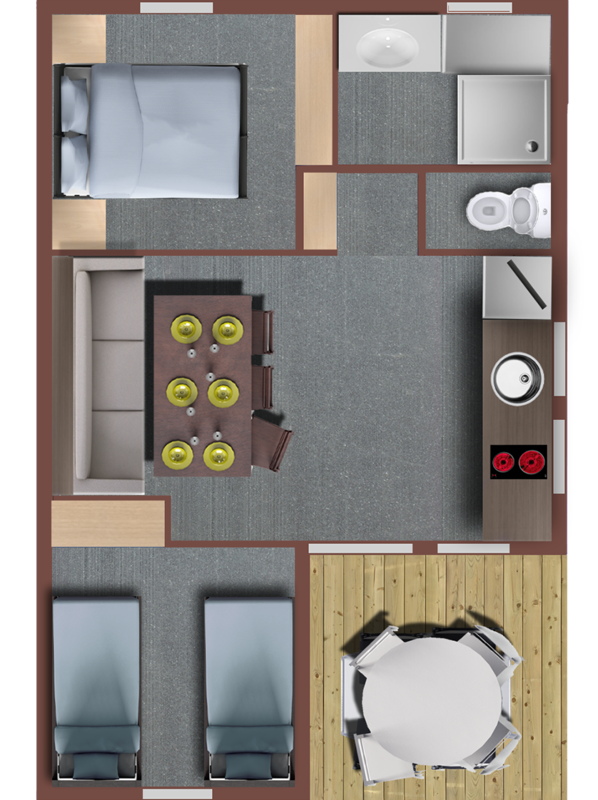 With its 2 opposite rooms, it preserves the freedom of some and intimacy of the others, and the large central room combines conviviality and convenience. 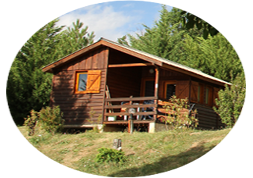 With family or friends, the chalet comfort is the ideal compromise for stays full of life. Located on the top of the lot, you will enjoy the tranquility and the open view.